Hawaii's Big Island is home to two of the world's tallest mountains rising from the ocean floor, the world's most active volcano and 11 of the world's 13 climate zones. 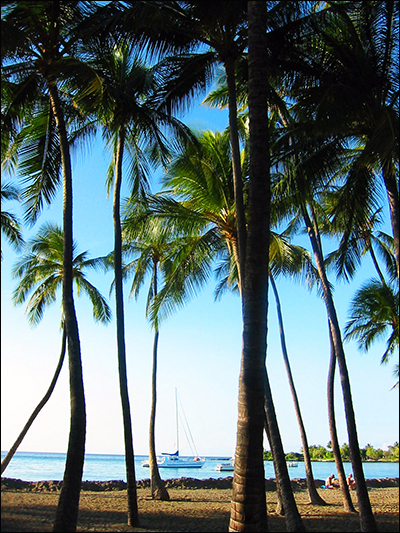 The sun shines most days on the island's prettiest beaches on its West Coast, including Waikoloa Beach Resort with 10-20 inches of rain yearly. North toward Waipi'o Valley and around Volcano it can rain 300 inches yearly producing tropical rain forests and many spectacular waterfalls. 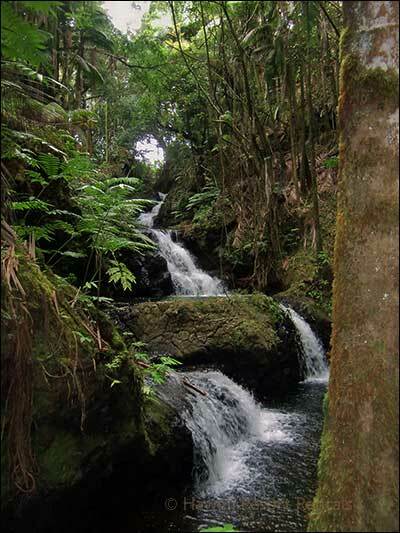 The island contains America's wettest area near Hilo and its most Southern point. At sea level Waikoloa Beach Resort temperatures average a perfect 71-85° in summer and 62-78° in winter. Waikoloa Village is inland 8 miles from us and at a higher elevation. Their weather station may be a few degrees cooler than at Waikoloa Beach Resort. With every 1000 foot climb in elevation the temperature drops about 3.5 degrees. Mauna Kea Volcano at 13,796 feet is chilly with occasional winter snow at Mauna Kea Observatory. 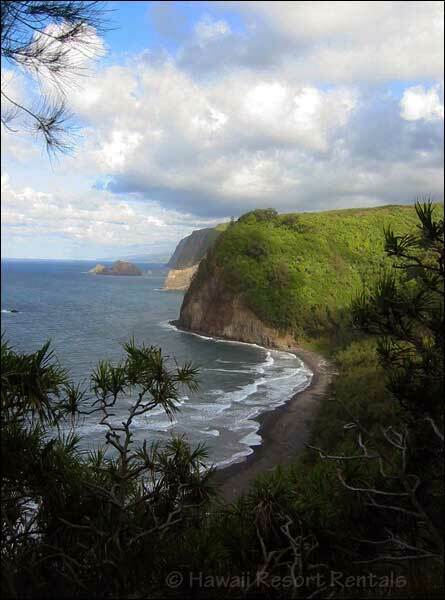 The Big Island is larger than all the other islands combined, about 4,050 square miles and growing daily. 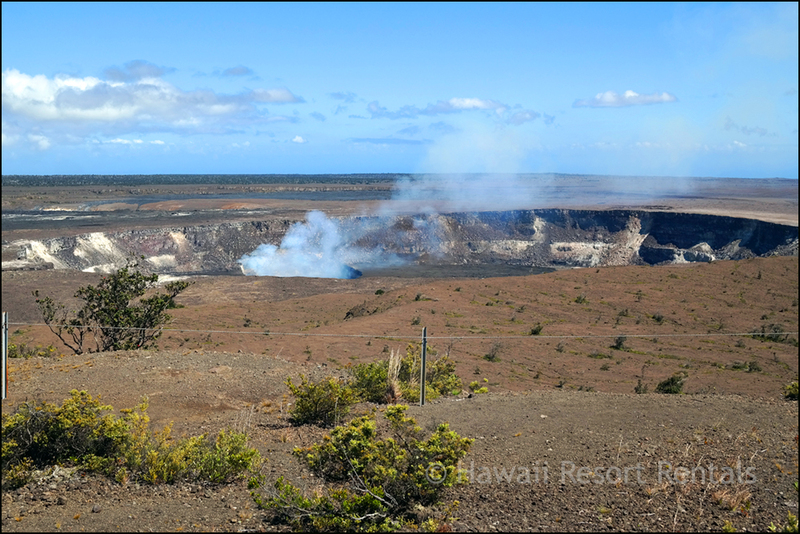 Kilauea's continual eruptions oozing lava into the sea have added 600 acres since 1983. It can be rainy and cool when exploring Volcanoes Nat'l Park and lava tubes up at 4000 feet elevation, so take a jacket. Check today's volcanic activity and weather before you go. 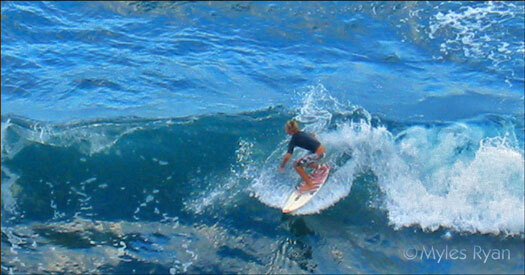 Ocean water temperatures are pretty comfortable all year ranging from 80° in summer to a milder 74° in winter.